With rapid advancement in the automobile industry, there has been a drastic increase in the number of vehicles all over the world, and Perth is no exception. As newer vehicles have replaced older vehicles in many areas, vehicles become obsolete now sooner than ever. That means that people now own unwanted cars more than before. Unwanted cars are an inconvenience for many people, especially in a fast paced life when you have no spare time to be spent on vehicles that you consider useless. Usually people give such vehicles off at junkyards because selling them requires time and effort on the owners part, which nobody wants to invest on an unwanted vehicle. But Western Metal Recycling brings a better option for people who own such vehicles in all areas of Perth. For people who own unwanted vehicles, whether due to being old, being in a bad condition, accidental or being a junk vehicle, the most common option is to take it to a junkyard, where they barely get any money for it. Instead, we offer you free removal for your unwanted vehicles in almost all regions of Perth. All you have to do is give us a call, and weï¿½ll do the rest! At Western Metal Recycling, we have been working in the car removal and wrecking industry for many years now. 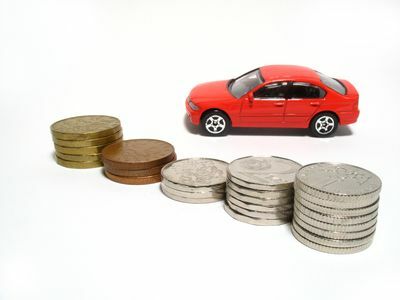 There are a number of reasons why you should opt for our cash for unwanted car removal service. Firstly, it requires almost no effort from your side as the client. You just have to call us, and we will come to your location anywhere in Perth. Secondly, we pay you a fair price for your unwanted vehicle. Our quotes are based on the condition of your vehicle and our recycling plants enable us to make the most of your vehicles so we can pay you a good amount. Thirdly, the condition of your car does not stop us from buying it. Whether your unwanted vehicle is scrap, accidental, wrecked, rusted, we will buy it from you. Moreover, our removal services are entirely free of charge, instead weï¿½re the ones paying you for your vehicle. The process of getting free car removal for your unwanted car removal in Perth is really easy. Below we have broken it down in a few steps for easy understanding. 1 This is the part where you have to contact us through our website or by calling us. When you get in touch with one of our representatives, youï¿½ll have to give him/her a few details about the vehicle you want to get removed. 2 Once one of our reps has the required information regarding the vehicle, we will offer you a price for your vehicle depending on the information. 3 After both parties have agreed on the quote, you can give us a time when we can come to your doorstep anywhere in Perth and remove your vehicle from your location. 4 Once our staff arrives at your location, they will inspect your vehicle to ensure everything is in order. Afterwards you just have to sign the exchange documents and your promised amount will be given to you. So if you are anywhere in Perth and own an unwanted vehicle, our cash for unwanted car removal service is the best option for you, as it benefits you both financially and in regards to effort required from your side as well. To sell your unwanted vehicle today, call us at 0415 227 955.